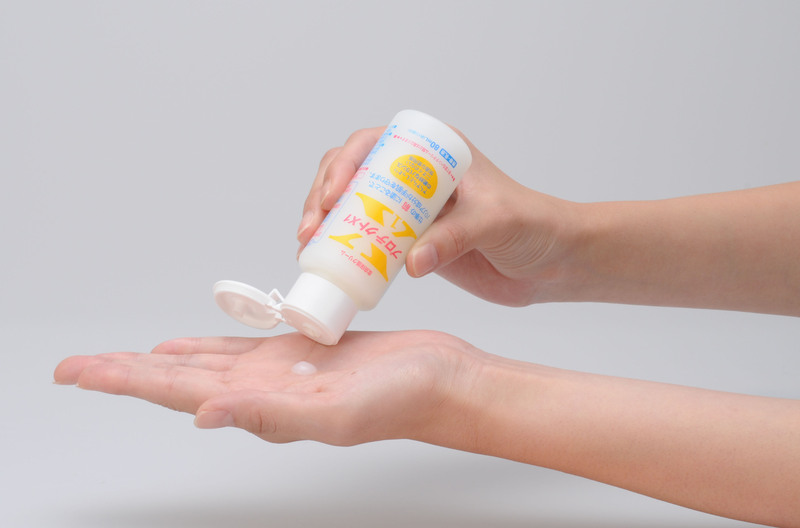 The skin protection cream Protect X1 has protection effect on three types of skin troubles. Penetration of dirt and smell into skin. Protection X1, since its development in 2005, has been widely used in medical, nursing care, food producing, and industrial sites solving the problems of rough skin and dirt/smell penetration. Especially in military, the product has been popular for the past five years. Soldiers maintaining vessel diesel engines and gas turbines use the product prior to the work for the ease of washing off the oil, and grease or dirt. In other field, medical unit and food supply unit soldiers have been the popular users to protect their hands from disinfectants and detergents. The foremost feature of this product is the availability of seven different sizes of packages from 15ml to 900ml for the convenience of users. Small bottles of 15, 35 and 80ml are easy to carry, fit well within a pocket or a purse, may also be brought into an airplane, and will not explode inside a vehicle parked outside in a hot summer day. 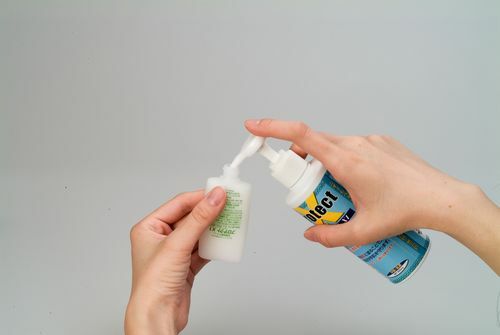 One may refill the small bottle from a large bottle, very economical and convenient. Mainly for private use. The more economical choice would be 200m., 400ml and 600ml bottles. These are mainly for use on work places. Each container features a pump and ideal for shared use. The most cost effective and the largest container is 900ml one. It is filled in a vinyl bag and mainly for the purpose of refilling smaller containers. The product is guaranteed on the quality for three years from the date of manufacturing. By keeping in a cool place at room temperature, the quality of the cream will be remained same. 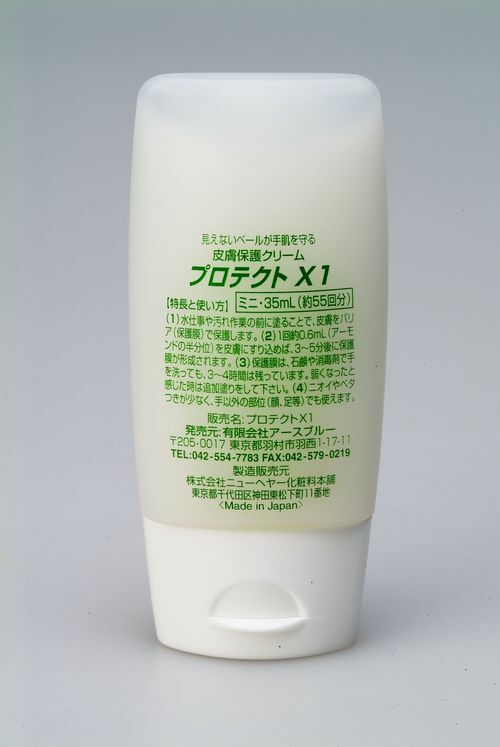 In Japan, X1 is the only skin protection cream product a user can select from seven sizes of containers.